If you have your own blog, the last thing that you want to happen is for people who visit your site to leave without trying or even looking at what you have prepared for them. But the question is, did you incorporated a proper element in your blog to guide visitors do what you are expecting from them? 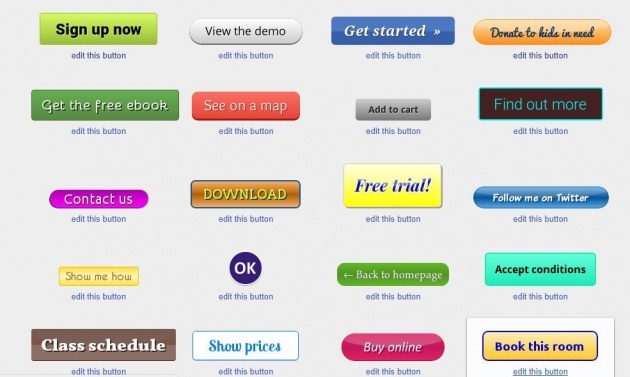 This is the exact reason why website buttons may be beneficial for your blog. Buttons may appear to be just a simple form of ornament or design. But if you would learn how to create a more appropriate piece for your blog, the chances of higher engagement could be achieved. Whether your purpose is to sell a product, to generate more paid subscription or to have more people avail your services, having an appropriate call to action button is one of the best element we can add to our website. From the point of view of the reader, it could be easy to tell the difference between a button and a link. 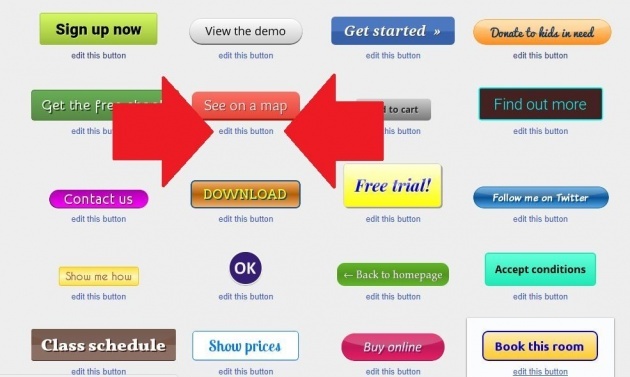 A button is a small shaped object place somewhere on the page that would let the reader perform a certain action. It can be round, rectangle, rounded rectangle or any shape with the same purpose. On the other hand, a link is a word or phrase with an attached URL that would lead the readers to other places when clicked. In most cases, confusions rise among writers over to when buttons and links should be used. Thereby, they sometimes interchange the two. 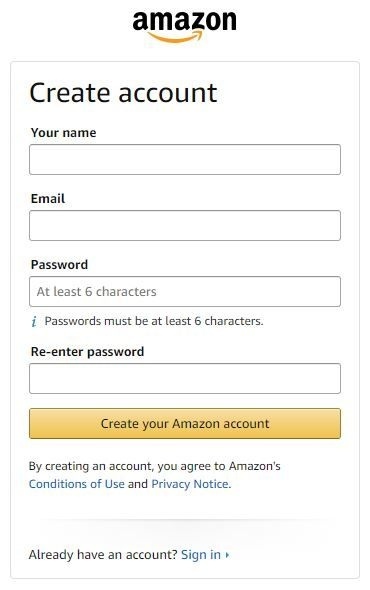 In this image, it is clearly shown that before you hit the Create your Amazon account, it is expected that you already read the Conditions of Use and Privacy Notice which links have been placed just below the button. These links can be opened in another tab. Moreover, the button was designed to be activated after all the required details have been filled out completely and accurately. Additionally, it is important to note that when a reader clicks a button, they are making an important decision. They can change the present situation because of a single click. 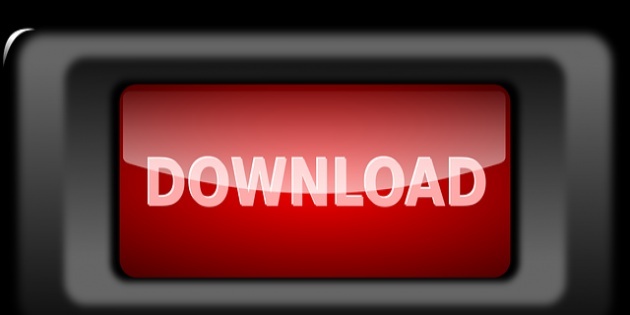 Buttons are best to be used when prompting the reader to download, buy something, sign up, subscribe or confirm a certain action previously made. On the other hand, we can also use a button to allow the reader to cancel an action and restart. 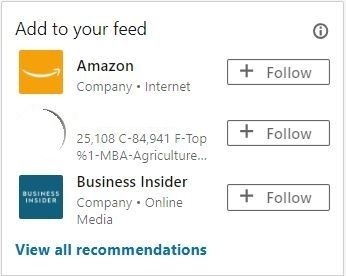 Here is an example of a button placed on the sidebar of a website encouraging the readers to follow another member or company. Once you click the button, you will not go anywhere else but will replace the text in the button as 'following'. A link is used for navigation. When a reader clicks a link, it would lead somewhere. But they are not changing anything. I hope this simple explanation helped us in understanding the difference between a button and a link. Now, we are ready to create buttons for our website! Having an application that could help create professionally designed, appealing and appropriate buttons for our website is a great help in achieving our goals. Da Button Factory is an online application where we can create personalized buttons for our website in an easy and fast way. Most of all, it is free to use. No need to worry about a monthly subscription fee in order to use the site. You can edit the existing samples within the site or you can create your own. 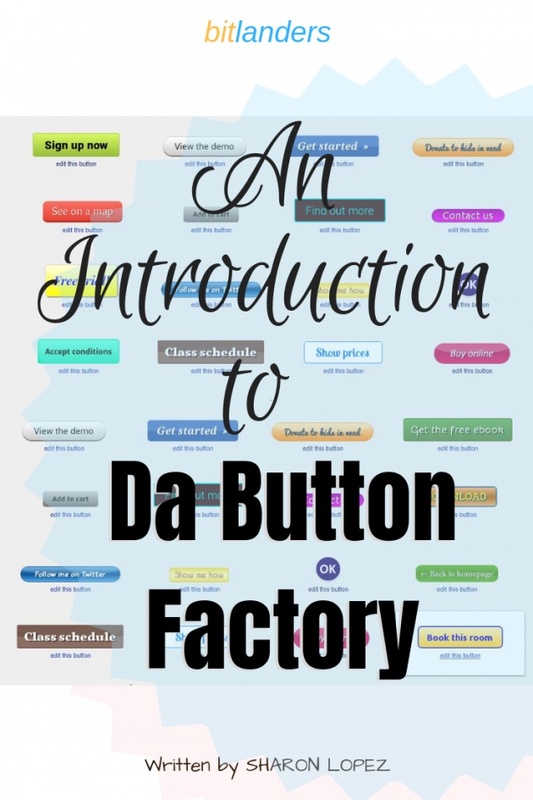 How to Use Da Button Factory? The site is very easy to navigate. When you visit the site, you can start creating your own button design and download directly into your PC or copy the code and embed it to your website. The image above shows the editor where you can start by typing in the word or phrase you needed for the button. On the left side, you can find the option for the font type, size, color and whether you would like the text to be italicized and bold. It also includes options of having text shadow. Additionally, you can adjust the size of the button to fit the desired size of the text. On the right side, you can find the option for the style of the button whether you would like to have a rounded rectangle or fully curved sides. The designed is preset to have a rectangular design. 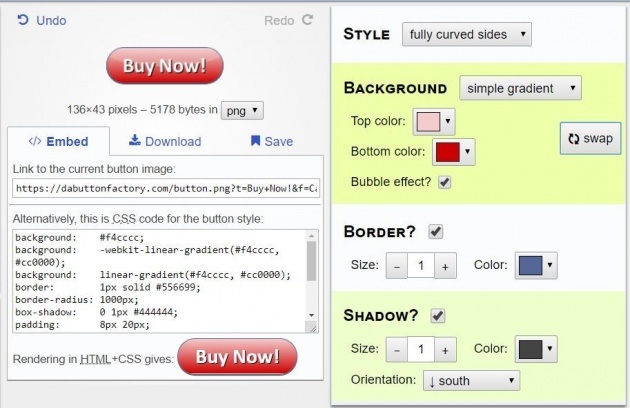 If you want to explore other designs, you can also use the existing buttons within the site clicking the examples and choosing from the given ready-made templates and have those edited based on your needs. The designs can be embedded directly on your websites or can be downloaded as png, jpeg, gif, and ico. You may visit the site here. There are many ways to improve your site's performance in terms of engagement and interaction. One of these ways is to have a professionally designed interface and appropriate buttons. I hope with this blog post, I was able to share some knowledge that could help you in attaining success in your online career.